Maya Rudolph and Fred Armisen play a married couple who go for long walks around their neighborhood, greet their neighbors, and wonder where butterflies go when they fly off in the first trailer for Amazon Prime Video’s Forever. The trailer switches up its tone one minute in, revealing things aren’t exactly what they seem for this married couple living what appears to be an idyllic suburban life. 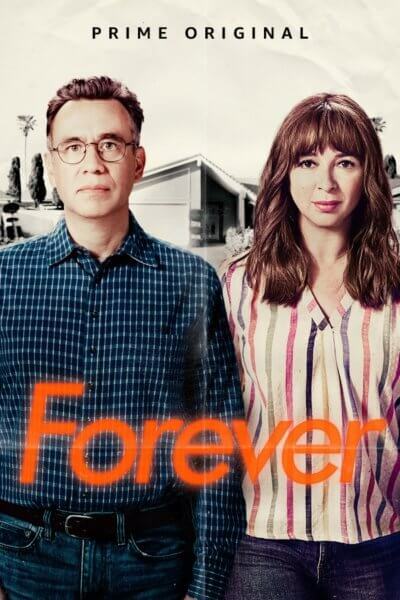 In addition to Maya Rudolph and Fred Armisen, the cast of Forever includes Catherine Keener (Sicario: Day of the Soldado, We Don’t Belong Here), Noah Robbins (Unbreakable Kimmy Schmidt, Grease Live!) and Kym Whitley (Young & Hungry, The Bay). The series was created by Alan Yang and Matt Hubbard, with Yang, Hubbard, Tim Sarkes, and Dave Becky executive producing. Series stars Maya Rudolph and Fred Armisen also executive produce the comedy. Season one will premiere on Friday, September 14, 2018. The Plot: “Married couple June (Rudolph) and Oscar (Armisen) live a comfortable but predictable life in suburban Riverside, California. For 12 years they’ve had the same conversations, eaten the same meals and taken pleasant vacations at the same rented lake house. But after June talks Oscar into shaking things up with a ski trip, the pair find themselves in completely unfamiliar territory.